Below are some reasons you may want to utilize our services. If you are preparing to have a new foundation put in (you may have had no foundation, or a damaged foundation), we can help! We’ll do an under pin. In this process, we raise, shore and excavate in preparation for your new foundation. You may find that your structure needs to be moved due to land redevelopment or rezoning, road expansion, residential rebuilding or some other reason. 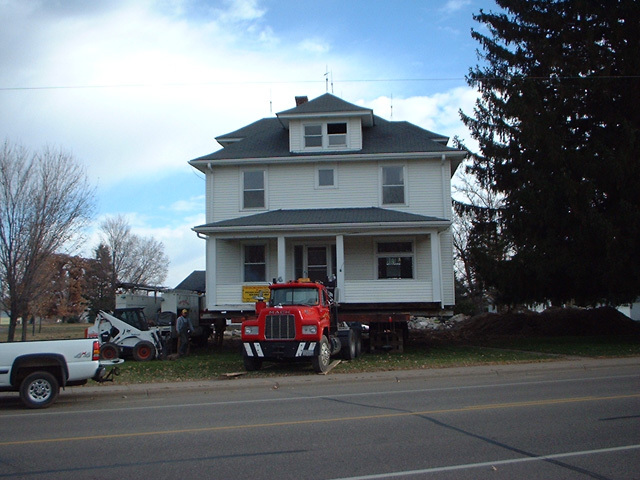 PHM specializes in the purchase and the removal of homes, garages and other structures. Moving to another city in Minnesota and love your house or garage? Give us a call and we can move it to the new location. If you are looking for a house to live in, call us or check our web site, we usually have houses & garages for sale that we can move to a location of your choice. Save yourself the cost of demolition. If you would like to build on your current property, or just want a building removed from your property, please call PHM. We may be interested in buying your building. Prodger House Movers does not do masonry/foundation work but can give suggestions on masonry contractors. Copyright © 2009 Prodger Housemovers Inc. All Rights Reserved.